Are you a fan of Shift? Do you frequently find yourself telling anyone and everyone about it? 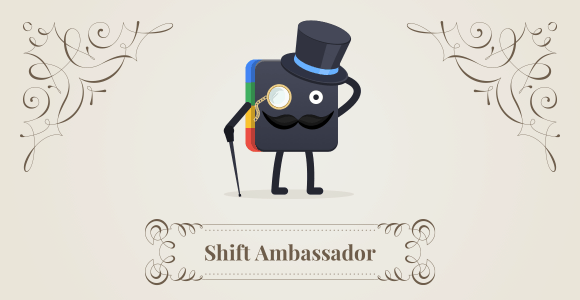 If so, then you are the perfect candidate for our Shift Ambassador Program, and we want to reward you for amazing work. Learn more about the program, or join here. Once you’ve signed up, we will email you a unique referral link. Simply share this link across your favorite channels (social media, blogs, podcasts, wherever else you like!) and you’ll automatically receive 20% of every sale! To get started today, sign up here, or check out our blog for more details!